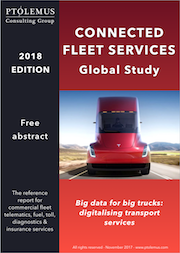 The Connected Fleet Services Global Study is a unique strategic decision-making tool assessing the potentials and partnership models in the commercial transport market. We have prepared an abstract of the study, you can download it here. Andrew Dondlinger, Vice President & General Manager, Connected Services, Navistar Inc.
Bernie Kavanagh, Senior Vice President & General Manager, Large Fleet, WEX Inc.
Why are commercial fleets of trucks and vans evolving towards unified sourcing? What is the future role of fuel card providers and toll operators in fleet management? 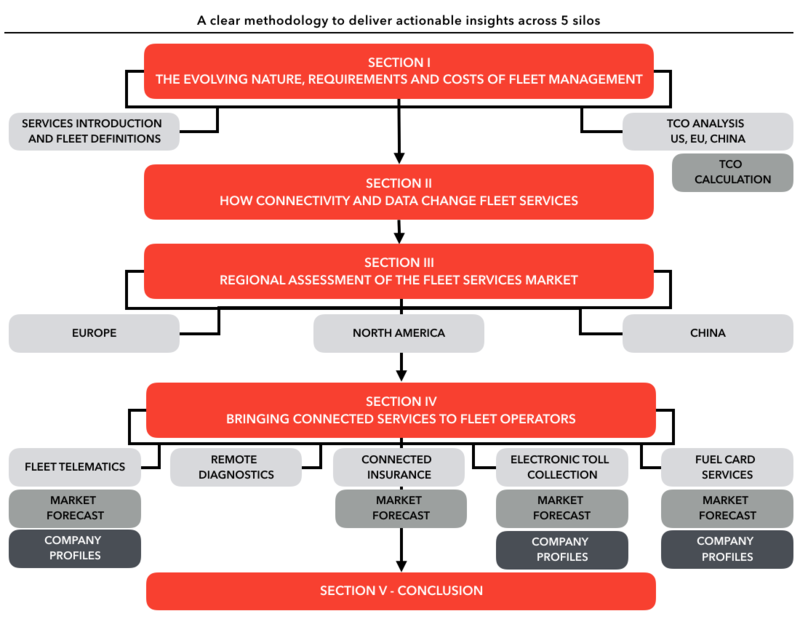 How big are the opportunities in the fleet telematics, fuel card, tolling and connected insurance markets – in volume and revenue? 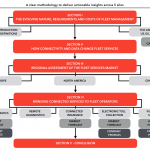 How will the penetration of connected fleet services evolve in 18 countries and regions? How much will the connected insurance market be worth in 2025? What are the strategies and offerings of the 45 biggest players in fleet services? Which companies are disrupting the fleet service market today? What are Fleet Data Aggregators and how will they impact your business? Which datasets will become commoditised first? it is also a complete strategic analysis.